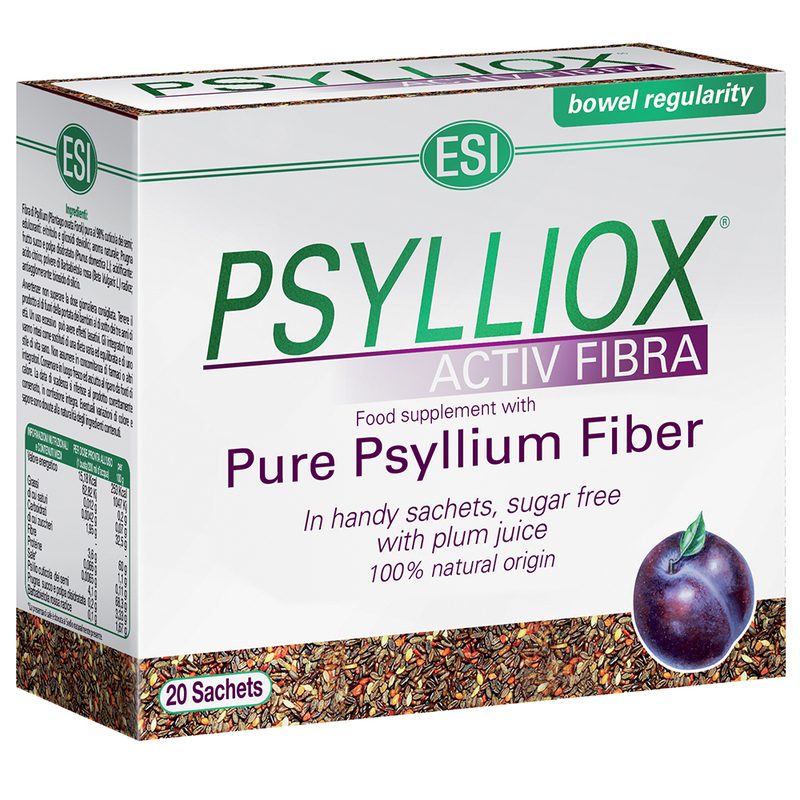 Integratore naturale per la regolarità del transito intestinale - ESI S.p.A.
Psylliox Activ Fiber is a 100% natural dietary supplement, made with psyllium and plum juice which are two rich ingredients that help to regulate bowel patterns. Psylliox Activ Fiber is a great natural remedy that balances intestinal activity, which is essential to your overall health. Psyllium normalizes stool consistency, additionally, it’s probiotic and soothes the entire digestive system. Psylliox Activ Fiber is available in plum flavor. 1 a 3 pouches a day, preferably on an empty stomach, during the day and not at night. Warnings: Keep out of the reach of children three years of age or under. Do not exceed the daily recommended dosage. Supplements should not be considered a substitute for a balanced diet and a healthy lifestyle. Excessive consumption could produce a laxative effect. Do not take in conjunction with other medications or supplements.